What snack food is more sacred than the tortilla chip? There is none. 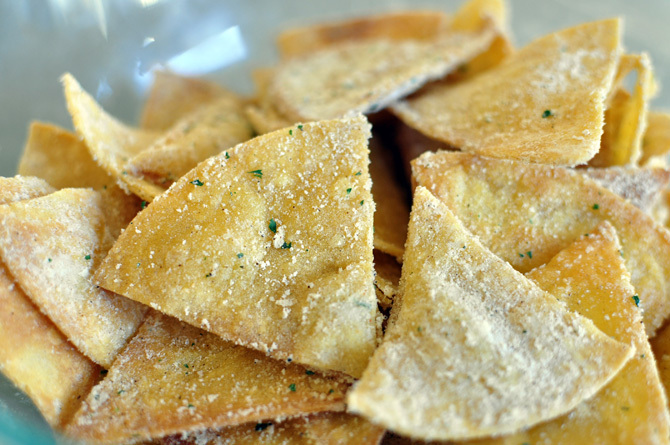 Whether it be salsa, queso, guac or 7 layer dip, everything is made better by the brittle crunch of a corn chip. But not all chips are created equal. You might be a fan of blue corn, hint of lime, scoops or whatever new flavor Frito-Lay comes out with, but there is one chip that stands above the rest: the Dorito. The zesty punch of a Dorito has occupied the taste buds of snackers everywhere, be it game day or late night. So today, we are showing you the insider recipe to creating your very own Doritos at home. 2. 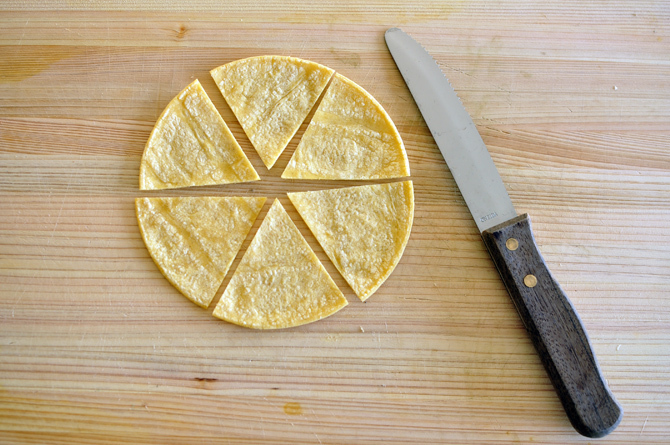 Cut tortillas into sixths and toss with vegetable oil. 3. 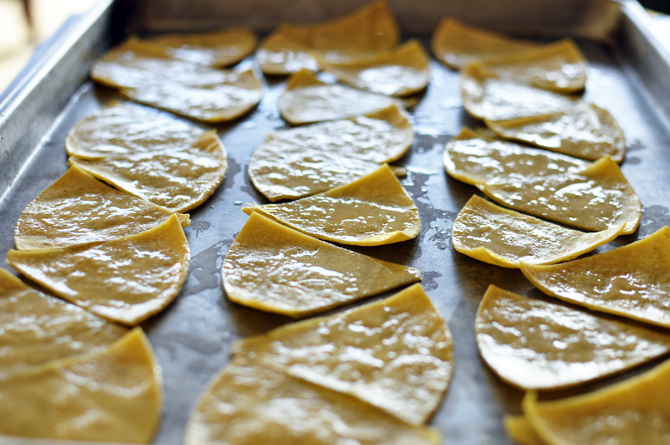 Place tortillas in a single layer on a baking sheet. 4. Bake for 10 minutes or until golden brown. Let cool slightly. 5. 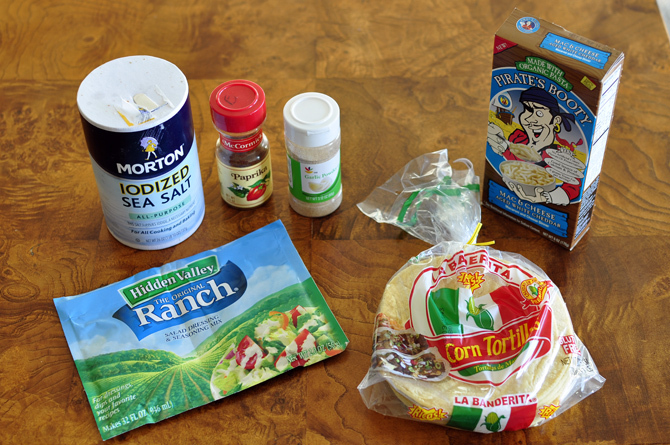 Mix together the ranch powder, cheese powder, garlic salt, salt and paprika in a bowl. 6. Spray cooking spray on both sides of the chips and place in a plastic bag. 7. 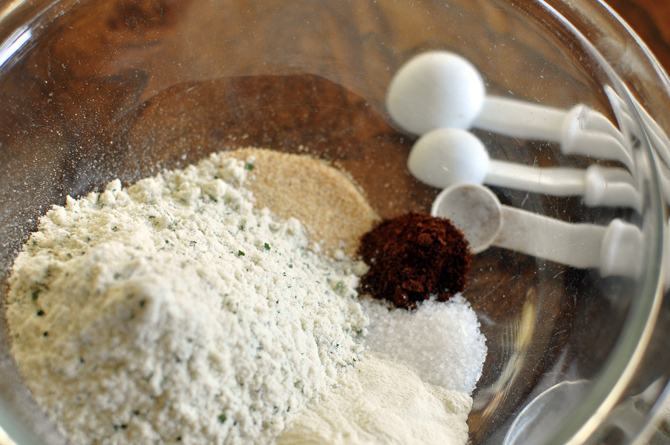 Add the seasoning and shake gently to coat each chip.